The Sapphire at 1188 West Pender Street, Vancouver. 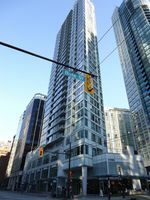 Located in the prestigious Coal Harbour area of Vancouver West, at the crossroads of West Pender Street and Bute Street. The Sapphire offers many modern features including a designer lobby, concierge service, secure underground parking, security card access, and electric fireplaces. 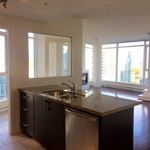 Walking distance to Robson Street, Burrard Skytrain, and every day conveniences. Easy access to the Lions Gate Bridge and other downtown attractions such as Rogers Arena, English Bay, Edgewater Casino, Gastown, Vancouver Art Gallery and more.